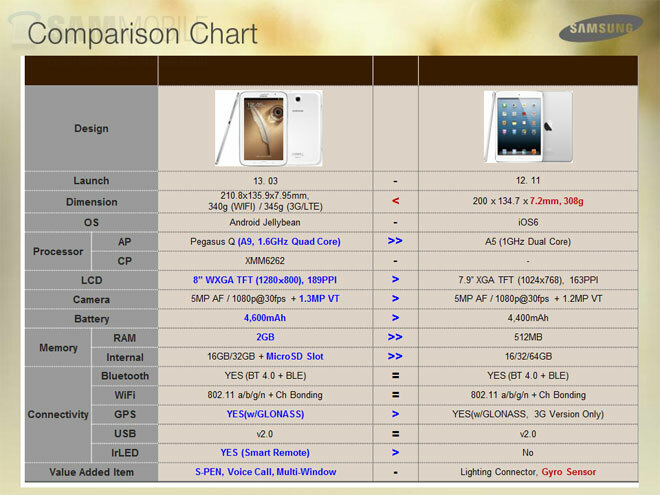 Samsung is no stranger to comparing its products against the competition, more specifically Apple. The latest device, which the Koreans are keen to show is better than its Cupertino-designed alternative is the Galaxy Note 8.0 compact tablet. 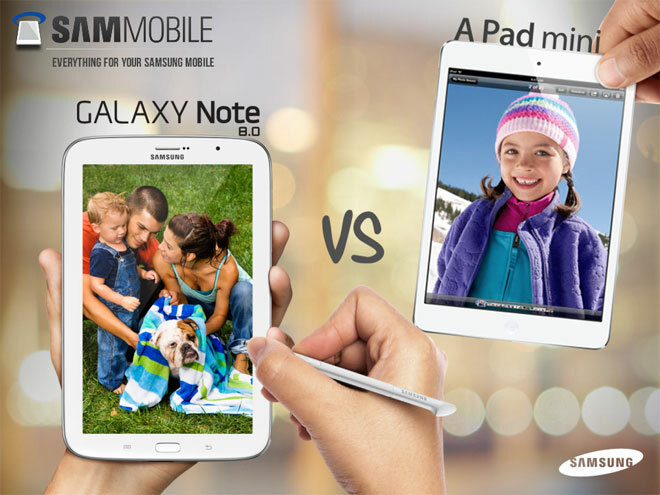 Yes, Samsung has put together yet another i-am-better-than-you piece, but this time it’s not in the form of a table, but rather six images detailing the six reasons why you’d want a Galaxy Note 8.0 instead of an iPad mini. According to SamMobile, who got the images, they are a part of an upcoming promo campaign that Samsung will launch. However you should Note (pun intended) that most slides have typos and grammatical errors so that seems unlikely. In fact, the “Apple iPad mini” name isn’t specifically mentioned and it’s referred to as “A Pad Mini”. Most likely these are internal images indented for training the company salesmen. Of course it could all turn to be a product of an over-devoted fanboy with way too much free time, but quite some effort seems to have gone in creating the slides, so this seems unlikely.